As a traditional herbalist schooled in the Vitalist Tradition, I believe that “the sum of the parts is greater than any single part.” For this reason, I prescribe combinations of herbs and herbal isolates customized to the individual. A typical protocol includes crude herbs for tea, liquid herbal extracts, concentrated powdered herbal extracts, and isolates. The vast majority of research today focuses on isolated compounds, but in my experience people experience the greatest benefits from concentrated whole herbs instead of just the isolate. In my clinical practice, I use whole plant extracts, rich in the specific plant compounds deemed beneficial, or I combine the isolates with powdered extracts, in either a 4:1 or 8:1 concentration. I do this for several reasons: First, the beneficial effects are often superior and more diverse than are provided by a single isolate; second, the whole plant often contains compounds that buffers or reduces the harshness or potential toxicity that the isolate may possess; and third, out of respect for the gift of the whole herb. There are significant differences between the actions of drugs and that of botanical medicines (which are often standardized to an active isolated compound). Drugs block a pathway, or perform a single function; whereas herbs suppress, buffer or lend a helping hand. Drugs are placed and function, while herbs are positioned and enhance response. Drugs often have a single action (although some newer cancer drugs target several pathways), whereas herbs can affect hundreds or even thousands of pathways. Drugs even when used properly have side effects and toxicity, while herbs have little to no side effects or toxicity when used properly by a professional herbalist. 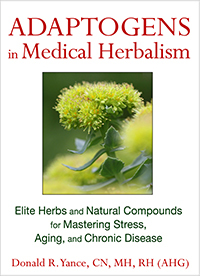 Finally, our genes recognize herbs, whereas drugs are new to our genes and our bodies often struggle with what to do with them and how to properly detoxify them. 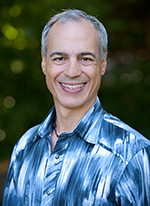 Botanicals (including herbal isolates) have been shown to demonstrate pleiotropic effects, possessing the unique ability to address a multitude of molecular mishaps, while concurrently strengthening the innate Life Force. Curcumin, a naturally occurring flavonoid derived from turmeric root, has been widely studied for its anti-cancer and chemopreventive properties. Turmeric has a long history of culinary use (it’s the ingredient that gives Indian curries their characteristic golden color), and the beneficial medicinal properties of the herb have been recognized for centuries. (−)-Epigallocatechin-3-gallate (EGCG), the most abundant and active polyphenol of green tea (Camellia sinensis), has been extensively studied for its anticancer properties, including anti-oxidant, anti- inflammatory, anti-proliferative, anti-invasive, antiangiogenic and pro-apoptotic effects. Biomed Res Int. 2015; 2015: 925640. In epidermal tumor models, EGCG reduces HAT activity and the acetylation levels of histones and non-histone proteins such as NF-kB. Guohua Han, et. al., Drug Discoveries & Therapeutics. 2015; 9(1):1-12. Because botanical compounds such as curcumin, EGCG, resveratrol, and quercetin exhibit synergestic effects, rather than take them as separate supplements, I combine them and add complementary concentrated botanical extracts such as rosemary, ginger, holy basil and grape seed. Decreases the HDAC1 protein level through the proteasomal degradation in ZR-75-1 human breast carcinoma cell, which upregulates p21 and global histone acetylation. Perturbs the transcription factor Sp1 binding to the DNMT1 promoter and downregulates the DNMT1 expression, thereby causing the hypomethylation of HIN-1 promoter and increasing the HIN-1 mRNA level in MCF-7 cells. Dimethy-laminoparthenolide, the water-soluble analog of parthenolide, is an anti-tumor agent that exhibits antitumor activity in multiple cancers through epigenetic mechanisms. Parthenolide is the first small molecule found to be selective against cancer stem cells (CSC), which it achieves by targeting specific signaling pathways and killing cancer from its roots. Parthenolide exerts its cancer stem cell-targeted chemotherapy, in part, through the NF-kB/COX-2 pathway. Parthenolide (PTL) is currently being tested in cancer clinical trials. Structure-activity relationship (SAR) studies of parthenolide have revealed key chemical properties required for biological activities and epigenetic mechanisms, and led to the derivatization of an orally bioavailable analog, dimethylamino-parthenolide (DMAPT). Sulforaphane (SFN) is a dietary isothiocyanate found in cruciferous vegetables such as broccoli, kale, and watercress. Berberine, a plant alkaloid, is found in goldenseal (Hydrastis canadensis), Oregon grape (Berberis aquifolium), barberry (Berberis vulgaris), and Chinese goldthread (Coptis chinensis). Long valued in botanical medicine for its antimicrobial properties, thousands of research studies over the past decade indicate that berberine may have clinical applications in a broad range of conditions, including cancer. The isoquinoline alkaloid berberine (BBR) could be a HDAC inhibitor in the human lung cancer A549 cell line. BBR represses total HDAC and also class I, II, and IV HDAC activity through hyperacetylation of histones. BBR triggers positive regulation of the sub-G0/G1cell cycle progression phase in A549 cells. BBR-induced A549 cell growth arrest and morphological changes were confirmed using different fluorescence-dye-based microscope techniques. BBR downregulates oncogenes (TNF-α, COX-2, MMP-2, and MMP-9) and upregulates tumor suppressor genes (p21 and p53) mRNA and protein expressions. BBR actively regulates Bcl-2/Bax family proteins and also triggered the caspase cascade apoptotic pathway in A549 cells. Piceatannol (3, 3′, 4, 5′-trans-trihydroxystilbene), a naturally occurring hydroxylated analogue of resveratrol, is less studied than resveratrol but displays a wide spectrum of biological activity. The cancer preventative agent resveratrol is converted to piceatannol by the cytochrome P450 enzyme CYP1B1. 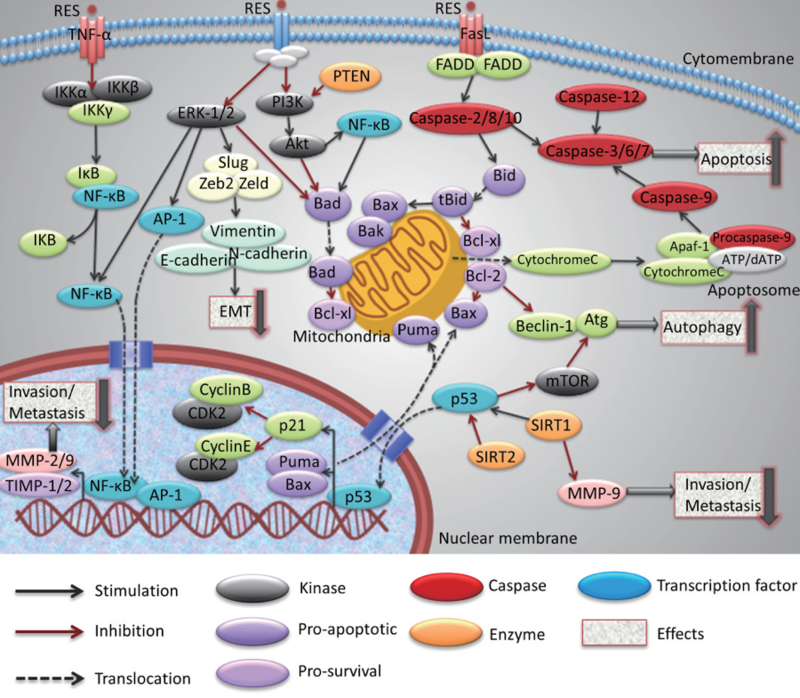 Mediates tumor growth and apoptosis through a variety of pathways (including upregulation of Bid, Bax. Bik, Bok, Fas: P21(WAF1) down-regulation of Bcl-xL; BCL-2, clAP, activation of caspases (-3, -7,- 8, -9), loss of mitochondrial potential, and release of cytochrome c.). Suppresses the activation of some transcription factors, including NF-kappaB, which plays a central role as a transcriptional regulator in response to cellular stress caused by free radicals, ultraviolet irradiation, cytokines, or microbial antigens. Inhibits JAK-1, which is a key member of the STAT pathway that is crucial in controlling cellular activities in response to extracellular cytokines and is a COX-2-inducible enzyme involved in inflammation and carcinogenesis. I find it tremendously exciting to consider the possibilities for botanical medicine as it applies to the evolving field of epigenetics. Through the process of epigenetic reprograming, research indicates that we can use whole foods and botanicals rich in a diversity of health-promoting compounds to affect cells on the molecular level. This may be the key for preventing and managing complex diseases such as cancer, Alzheimer’s, cardiovascular disease, and autoimmune, reproductive, and neurobehavioral illnesses. Ahmad A, Sakr WA, Rahman KM. Novel targets for detection of cancer and their modulation by chemopreventive natural compounds. Front Biosci (Elite Ed) 2012;4:410–25. Duvoix A, Blasius R, Delhalle S, et al. 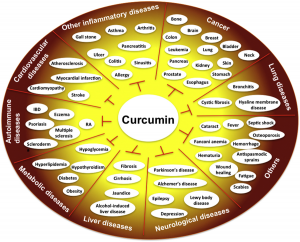 Chemopreventive and therapeutic effects of curcumin. Cancer Lett 2005; 223:181–90. Gupta SC, Kim JH, Prasad S, Aggarwal BB. Regulation of survival, proliferation, invasion, angiogenesis, and metastasis of tumor cells through modulation of inflammatory pathways by nutraceuticals. Cancer Metastasis Rev 2010;29:405–34. Camacho-Barquero L, Villegas I, Sanchez-Calvo JM, et al., Curcumin, a Curcuma longa constituent, acts on MAPK p38 pathway modulating COX-2 and iNOS expression in chronic experimental colitis, Int. Immunopharmacol. 7 (2007) 333–342. Ye SF, Hou ZQ, Zhong LM, Zhang QQ. Effect of curcumin on the induction of glutathione S-transferases and NADP(H):quinone oxidoreductase and its possible mechanism of action, Yao Xue Xue Bao 42 (2007) 376–380. Chen C, Liu Y, Chen Y, Xu J. C086, a novel analog of curcumin, induces growth inhibition and down-regulation of NFкB in colon cancer cells and xenograft tumors, Cancer Biol. Ther. 12 (2011) 797–807. Durko L, Malecka-Panas E. Lifestyle modifications and colorectal cancer, Curr. Colorectal Cancer Rep. 10 (2014) 45–54. Boyanapalli SS1, Tony Kong AN1. 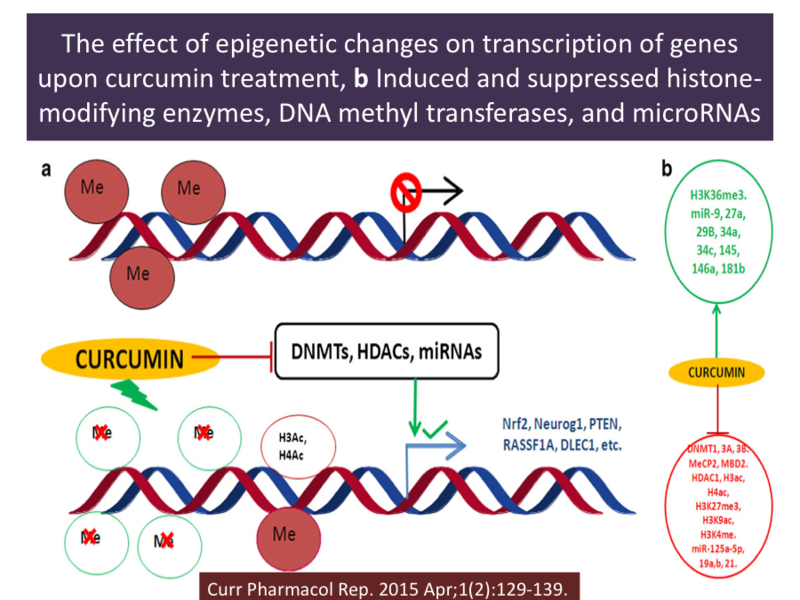 “Curcumin, the King of Spices” Epigenetic Regulatory Mechanisms in the Prevention of Cancer, Neurological, and Inflammatory Diseases, Curr Pharmacol Rep. 2015 Apr;1(2):129-139. Epub 2015 Jan 30. Gupta SC, Patchva S, Aggarwal BB. Therapeutic roles of curcumin: lessons learned from clinical trials, AAPS J. 15 (2013) 195–218. Kanai M. Therapeutic applications of curcumin for patients with pancreatic cancer, World J. Gastroenterol. 20 (2014) 9384–9391. Johnson J, Mukhtar H. Curcumin for chemoprevention of colon cancer, Cancer Lett. 255 (2007) 170–181. Gupta SC, Patchva S, Koh W, Aggarwal BB. Discovery of curcumin, a component of golden spice, and its miraculous biological activities, Clin. Exp. Pharmacol. Physiol. 39 (2012) 283–299. Park W, Amin AR, Chen ZG, Shin DM. 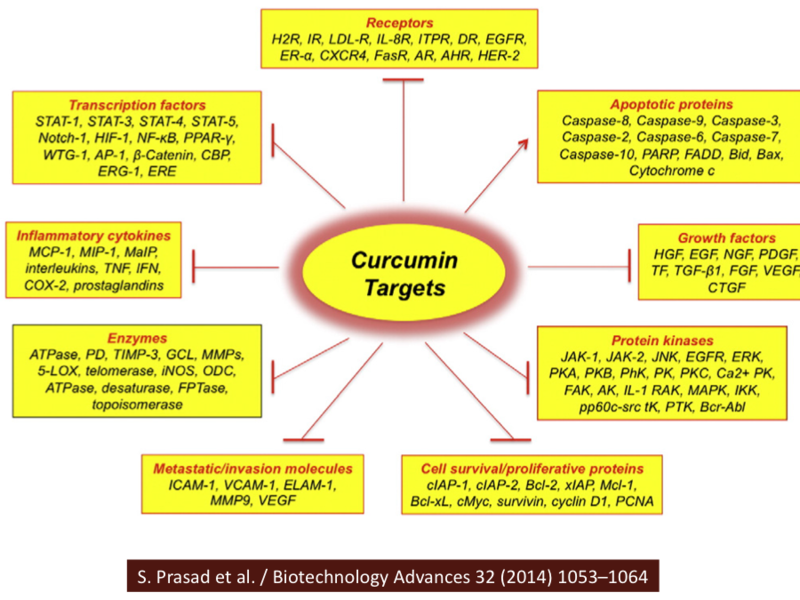 New perspectives of curcumin in cancer prevention, Cancer Prev. Res. 6 (2013) 387–400. Hou IC, Amarnani S, Chong MT, Bishayee A. 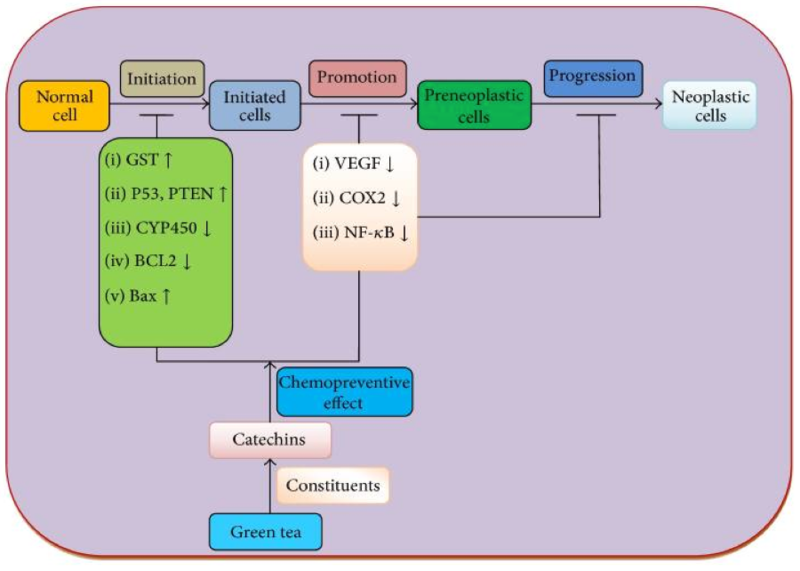 Green tea and the risk of gastric cancer: epidemiological evidence, World J. Gastroenterol. 19 (24) (2013) 3713–3722. Miller P, Snyder DC. Phytochemicals and cancer risk: a review of the epidemiological evidence, Nutr. Clin. Pract. 27 (2012) 599–612. Hui C, Qi X, Qianyong Z, et al. Flavonoids, Flavonoid subclasses and breast cancer risk: a meta-analysis of epidemiologic studies, PLoS One 8 (1) (2013) e54318. Cui L, Liu X, Tian Y, et al. Flavonoids, flavonoid subclasses, and esophageal cancer risk: a meta-analysis of epidemiologic studies, Nutrients 8 (2016) 350, http://dx.doi.org/10.3390/ nu8060350. Tang N, Wu Y, Zhou B, et al. Green tea, black tea consumption and risk of lung cancer: a meta-analysis, Lung Cancer 65 (3) (2009) 274–283. Fang MZ, Wang Y, Ai N, et al. Tea polyphenol (-)-epigallocatechin-3- gallate inhibits DNAmethyltransferase and reactivates methylation-silenced genes in cancer cell lines. Cancer Res 2003;63:7563–70. Duvoix A, Schmitz M, Schnekenburger M, et al.Transcriptional regulation of glutathione S-transferase P1-1 in human leukemia. Biofactors 2003c;17:131. Balasubramanian S, Adhikary G, Eckert RL. The Bmi-1 polycomb protein antagonizes the (-)-epigallocatechin-3-gallate-dependent suppression of skin cancer cell survival. Carcinogenesis 2010;31:496–503. Aluyen JK, Ton QN, Tran T, et al. 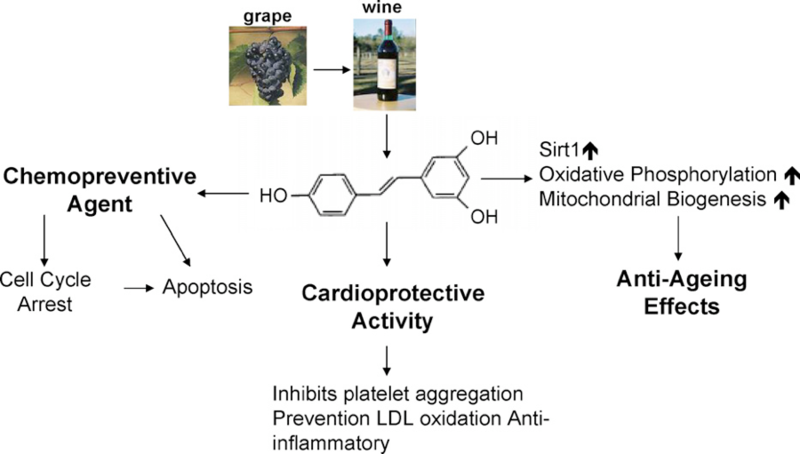 Resveratrol: potential as anticancer agent. J Diet Suppl 2012;9:45–56. Scott E, Steward WP, Gescher AJ, Brown K. Resveratrol in human cancer chemoprevention— choosing the ‘right’ dose. Mol Nutr Food Res 2012;56:7–13. Farghali H, Kutinova Canova N, Lekic N. Resveratrol and related compounds as antioxidants with an allosteric mechanism of action in epigenetic drug targets. Physiol Res 2013;62:1–13. Boily G, He XH, Pearce B, Jardine K, McBurney MW. SirT1-null mice develop tumors at normal rates but are poorly protected by resveratrol. Oncogene 2009;28:2882–93. Paluszczak J, Krajka-Kuzniak V, Baer-Dubowska W. The effect of dietary polyphenols on the epigenetic regulation of gene expression in MCF7 breast cancer cells. Toxicol Lett 2010;192:119–25. Stefanska B, Rudnicka K, Bednarek A, Fabianowska-Majewska K. Hypomethylation and induction of retinoic acid receptor beta 2 by concurrent action of adenosine analogues and natural compounds in breast cancer cells. Eur J Pharmacol 2010;638:47–53. Stefanska B, Salame P, Bednarek A, Fabianowska-Majewska K. Comparative effects of retinoic acid, vitamin D and resveratrol alone and in combination with adenosine analogues on methylation and expression of phosphatase and tensin homologue tumour suppressor gene in breast cancer cells. Br J Nutr 2012;107:781–90. Murakami A, Ashida H, Terao J. Multitargeted cancer prevention by quercetin. Cancer Lett 2008;269:315–25. Howitz KT, Bitterman KJ, Cohen HY, et al. Smallmolecule activators of sirtuins extend Saccharomyces cerevisiae lifespan. Nature 2003;425:191–6. Tan S, Wang C, Lu C, et al. Quercetin is able to demethylate the p16INK4a gene promoter. Chemotherapy 2009;55:6–10. Pareek A, Suthar M, Rathore GS, Bansal V. Feverfew (Tanacetum parthenium L.): a systematic review, Pharmacogn. Rev. 5 (9) (2011) 103–110. Dai Y, Guzman ML, Chen S, et al. The NF-κB inhibitor parthenolide interacts with histone deacetylase inhibitors to induce MKK7/JNK1-dependent apoptosis in human acute myeloid leukaemia cells, Br. J. Haematol. 151 (1) (2010) 70–83. Guzman ML, Rossi RM, Neelakantan S, et al. An orally bioavailable parthenolide analog selectively eradicates acute myelogenous leukemia stem and progenitor cells, Blood 110 (13) (2007) 4427–4435. Hassane DC, Sen S, Minhajuddin M, et al. Chemical genomic screening reveals synergism between parthenolide and inhibitors of the PI-3 kinase and mTOR pathways, Blood 116 (26) (2010) 5983–5990. Kolev JN, O’Dwyer KM, Jordan CT, Fasan R. Discovery of potent parthenolide-based antileukemic agents enabled by late-stage P450-mediated C-H functionalization, ACS Chem. Biol. 9 (1) (2014) 164–173. Amin A, Gali-Muhtasib H, Ocker M, Schneider-Stock R. Overviewof major classes of plantderived anticancer drugs. Int J Biomed Sci 2009;5:1–11. Ho E, Clarke JD, Dashwood RH. Dietary sulforaphane, a histone deacetylase inhibitor for cancer prevention. J Nutr 2009;139:2393–6. Myzak MC, Karplus PA, Chung FL, Dashwood RH. A novel mechanism of chemoprotection by sulforaphane: inhibition of histone deacetylase. Cancer Res 2004;64:5767–74. Myzak MC, Tong P, DashwoodWM, et al. 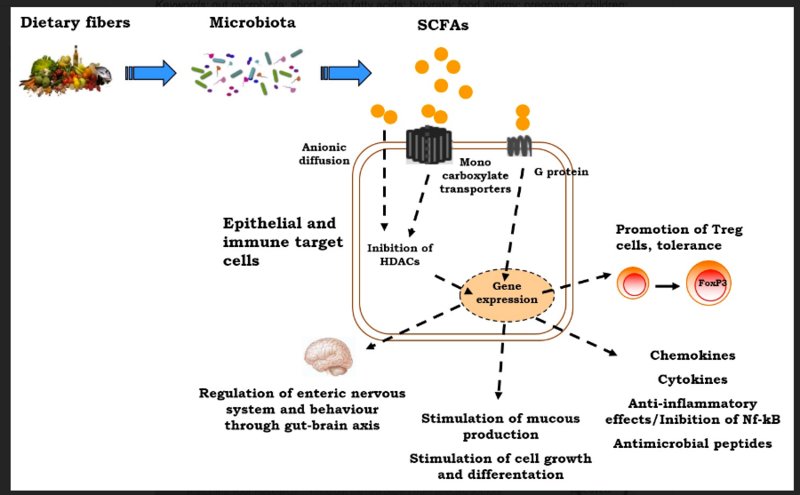 Sulforaphane retards the growth of human PC-3 xenografts and inhibits HDAC activity in human subjects. Exp Biol Med (Maywood) 2007;232:227–34. Kim BG, Fujita T, Stankovic KM, et al. Sulforaphane, a natural component of broccoli, inhibits vestibular schwannoma growth in vitro and in vivo. Sci Rep. 2016 Nov 2;6:36215. doi:10.1038/srep36215. Hsu A,Wong CP, Yu Z, et al. 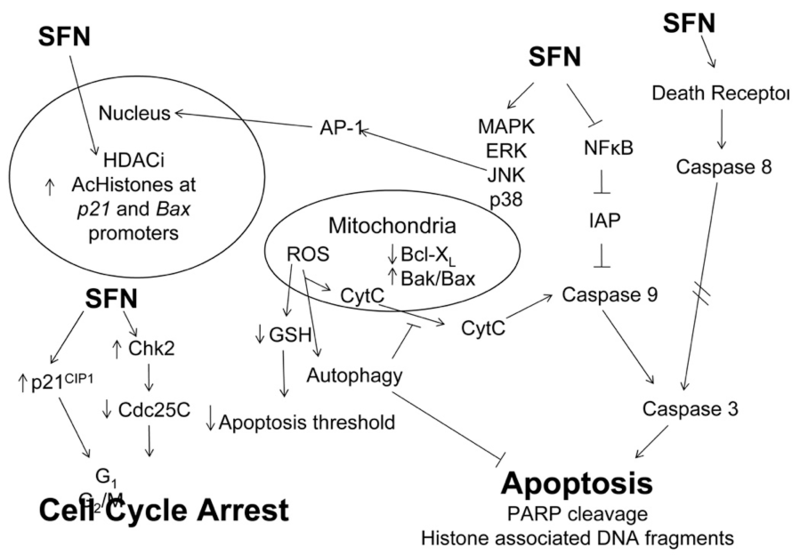 Promoter demethylation of cyclin D2 by sulforaphane in prostate cancer cells. Clin Epigenetics 2011;3:3. Acharya A, Das I, Singh S, Saha T. Chemopreventive properties of indole-3-carbinol, diindolylmethane and other constituents of cardamom against carcinogenesis. Recent Pat Food Nutr Agric 2010;2:166–77. Rogan EG. The natural chemopreventive compound indole-3-carbinol: state of the science. In Vivo 2006;20:221–8. Beaver LM, Yu TW, Sokolowski EI, et al. 3,3′-Diindolylmethane, but not indole-3-carbinol, inhibits histone deacetylase activity in prostate cancer cells. Toxicol Appl Pharmacol 2012;263:345–51. Leder A, Leder P. Butyric acid, a potent inducer of erythroid differentiation in cultured erythroleukemic cells. Cell 1975;5:319–22. Davie JR. Inhibition of histone deacetylase activity by butyrate. J Nutr 2003;133: 2485S–93S. Scharlau D, Borowicki A, Habermann N, et al. 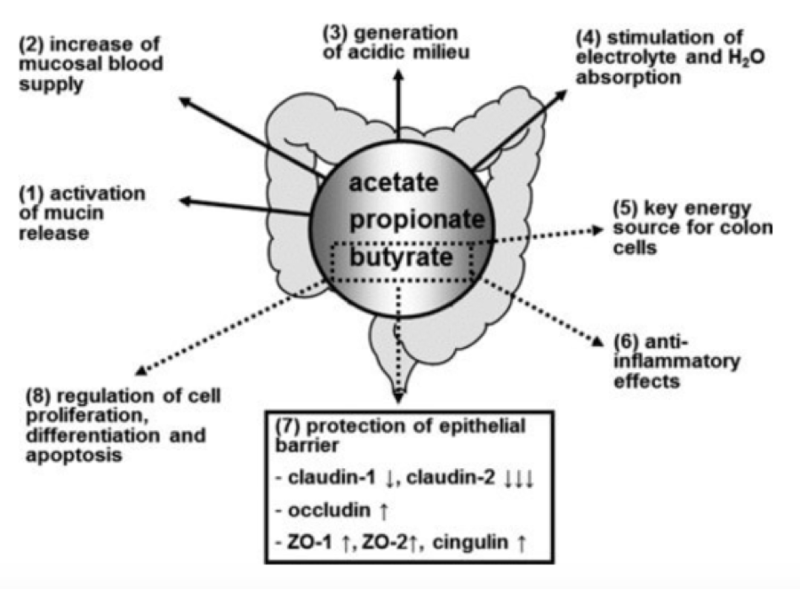 Mechanisms of primary cancer prevention by butyrate and other products formed during gut flora-mediated fermentation of dietary fibre. Mutat Res 2009;682:39–53. Spurling CC, Suhl JA, Boucher N, et al. The short chain fatty acid butyrate induces promoter demethylation and reactivation of RARbeta2 in colon cancer cells. Nutr Cancer 2008;60:692–702. Kalaiarasi A, Anusha C, Sankar R, et al. Plant Isoquinoline Alkaloid Berberine Exhibits Chromatin Remodeling by Modulation of Histone Deacetylase To Induce Growth Arrest and Apoptosis in the A549 Cell Line. J Agric Food Chem. 2016 Dec 21;64(50):9542-9550. doi: 10.1021/acs.jafc.6b04453. Piotrowska H, Kucinska M, Murias M. Biological activity of piceatannol: leaving the shadow of resveratrol, Mutat Res.2012 Jan-Mar;750(1):60-82. doi: 10.1016/j.mrrev.2011.11.001.